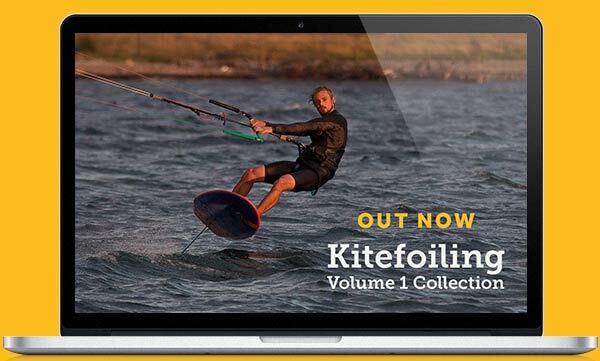 First up is the DVD that start it all, Progression Kiteboarding Intermediate. We wanted to make a kitesurfing DVD and this seemed like the easiest way – it only needed one trip, Pete could film, I could be the rider, script writer, technical adviser etc and we’d make the rest up as we went along. 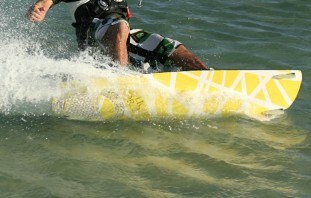 Colona Watersports, Hurghada, Egypt. They were great and help us our endlessly and the beautiful tourquise water helped to make the DVD look amazing and inspiring. Pete Kyle – Cameraman, Editor. We setup a company called Fat Sand borrowed some money bought 2 laptops and two cameras. I rented my flat out and moved into Pete’s one bed flat in Brighton with a mattress on the kitchen/lounge floor. We set up two desks along one wall. It was pretty intense as we worked 16 hour days, 7 days a week, for a month editing the video. I pretty much lived in that one room, I’d get up walk the 10 foot to my desk and then 16 hours later walk back to my bed. It was great fun and we are both amazed that the format we come up with worked so well – its been the bases for everything we’ve done since! The Canon XL1s was a great camera and the first time Pete had a decent video camera (handycams up until then, though he had lots of EOS still camera kit). 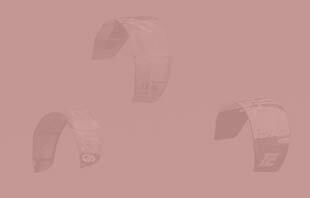 The only issue we ever really had with the that camera was that auto focus on it would, from time to time, just suddenly lose focus for 1/2 a second. Always annoyed me and you’ll notice it in a few shots in several of our videos. It also took 16 hours to encode the whole movie to MPEG2 for the DVD. We never thought it was gonna take this long, and it took us 4 attempts before we had got all the glitches out of the final film, pushing our deadline for the replications back and back. I remember that we woke up the day it had to be at the replicates and the encode was still running, and we still need to build the final dvd and then burn to a master DVD which we were delivering to London by hand. In the end we started the DVD building in the morning, when we needed to leave to catch the train it was still going so we kept the laptop open and got a taxi to the train station. On the train the build completed and we start the DVD burning but when we got to London VIctoria station it was still burning, so once again we ran across the station with the laptop open and into another taxi. Our deadline and meeting with the distributor was approaching fast and still no DVD to give them. As the taxi pulled up at Camden Market, and we got out -“Bong” – the DVD ejected and was ready to roll. All in the nick of time. In hign sight, all the delays didn’t really matter, particularly as our first distributor was utter hopeless, but it was a good eye opener to how much goes into to getting a DVD made from start to finish.